I'm curious what wind apps and/or web sites you guys use? I like WindAlert personally (on iPhone, but I think there's an Android version too), what else is out there that's good? I mostly use the weather.gov web site from my laptop. One of these days maybe I'll get an app for my phone (although it's getting much s l o w e r to load stuff . . . so I stopped downloading new apps). I'm a bit of a dinosaur when it comes to phones . . . . even though I work in software. goestoeleven wrote: I mostly use the weather.gov web site from my laptop. One of these days maybe I'll get an app for my phone (although it's getting much s l o w e r to load stuff . . . so I stopped downloading new apps). I'm a bit of a dinosaur when it comes to phones . . . . even though I work in software. 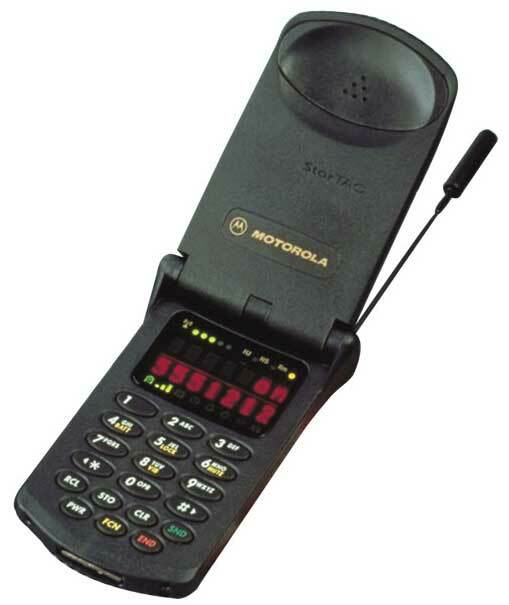 I didn't even know you could load apps on the StarTac? Star tac? What's that, mister? swannie wrote: I'm curious what wind apps and/or web sites you guys use? I like WindAlert personally (on iPhone, but I think there's an Android version too), what else is out there that's good? The recently improved Weather Underground app has the current winds and an hourly forecast for winds by location. (At least it does for Android.) Available for both iPhone and Android. http://www.wunderground.com/download/index.asp I use that in addition to several aviation apps. TMadz wrote: Star tac? What's that, mister? They still make that phone? Mytoyz wrote: They still make that phone? I really like Windalert as long as you link to a local Staton that isn't in a shool yard or something. When you are linked to a airport or Lighthouse. Somewhere with low turbulence it seems very accurate and the predictions are usually spot on. A way to check current wind speeds that many non-aviators may not know about is to call the local ASOS phone line. (Automated Surface Observing System) These are automated sensor rigs that provide meteorological and aviation observations. There are currently more than 900 ASOS sites in the United States. http://www.nws.noaa.gov/ost/asostech.html Often (Maybe always?) they have a phone number associated with them that taps into a computer generated voice that will give current weather info. (Updated every minute, I believe.) It's been my experience that after two repeats of information the phone line will disconnect to allow the next kite flyer to listen. The wind direction is given in degrees magnetic and the speed is in knots. (Multiply by 1.15 to convert to mph.) Often there is other, airport related information, included. I've been trying to find an online way to locate the phone numbers. So far unsuccessfully except through aviation listings. Here are a few in Illinois. I can find more if you're interested. Generally you would need to have a somewhat busy local airport nearby. I google current weather at the nearby airport. It returns the current windspeed. I'm still searching for a good place to fly while I'm in Germany, and I came across this website. It looks like the same data you can get out of WindAlert, or any of the other websites/apps that base their data on the various weather models, but it has a really nice interactive way of displaying it. Tried to use it, but it couldn't seem to come up with a forecast or statistics for Wheaton . . . maybe I need to "read the @!&%*^ manual" to figure it out. Looks like it's focused on the surfing crowd.